Schoolboy Q's album Oxymoron is done; it has no release date yet. Last night, Q shared another high-adrenaline song from the project, "Banger (MOSHPIT)," a should-be festival audience pleaser that vaguely references Cypress Hill's 1996 Wyclef Jean collaboration "Boom Biddy Bye Bye." Below the stream, watch Q discuss Oxymoron with MIss Info and perform "Collard Greens" with Kendrick Lamar at a recent installment of vitaminwater #uncapped. 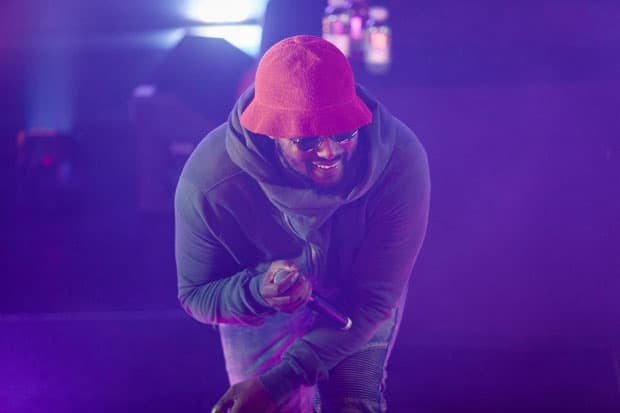 Stream: Schoolboy Q, "Banger (MOSHPIT)"